Apply to your Thumb. Helps give you a clean consistent release. Will also help with preventing blisters and soreness on your thumb! 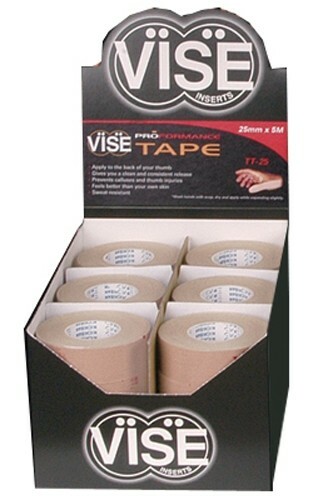 Due to the time it takes to produce the VISE TT-25 Skin Protecting Tape ball it will ship in immediately. We cannot ship this ball outside the United States.